Chesterfield’s Community Radio | S41 Radio “It’s All About Town!” The Community Radio Station for Chesterfield in Derbyshire, England UK. 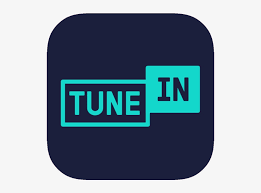 Launched in July 2017, S41 Radio broadcasts live 24/7 on high quality 128 kbps digital stream from the studios in Old Whittington online and on all radio apps – Vtuner, TuneIn, Simple Radio, MyTuner, Audials, Radio-UK. Music for all tastes – S41 Radio now broadcasts 3 live stations 24/7 – S41 Radio (Radio 2 style in the day/Radio 1 style in the evening | S41 Radio Xtra (RnB/Dance/Trance/Rock) | S41 Classical (24/7 Classical Favourites). WOULD YOU LIKE TO BE A RADIO PRESENTER? Chesterfield locals..If you would like to be part of the team get in touch! studio@s41radio.com. As the community station our mission is to involve both local people and organisations in the production of a valuable entertainment and informative service to Chesterfield. S41 Radio aim to be a local hub for the community and provide a quality output for everyone to enjoy in Chesterfield. Chesterfield FC Community Trust has been named as S41 Radio’s official charity partner for 2018.